The NVIDIA GeForce GTX 680M SLI is a high-end DirectX 11-compatible graphics card for laptops, consisting of two GeForce GTX 680M. Each card has a 28nm GK104 core based on the Kepler architecture. 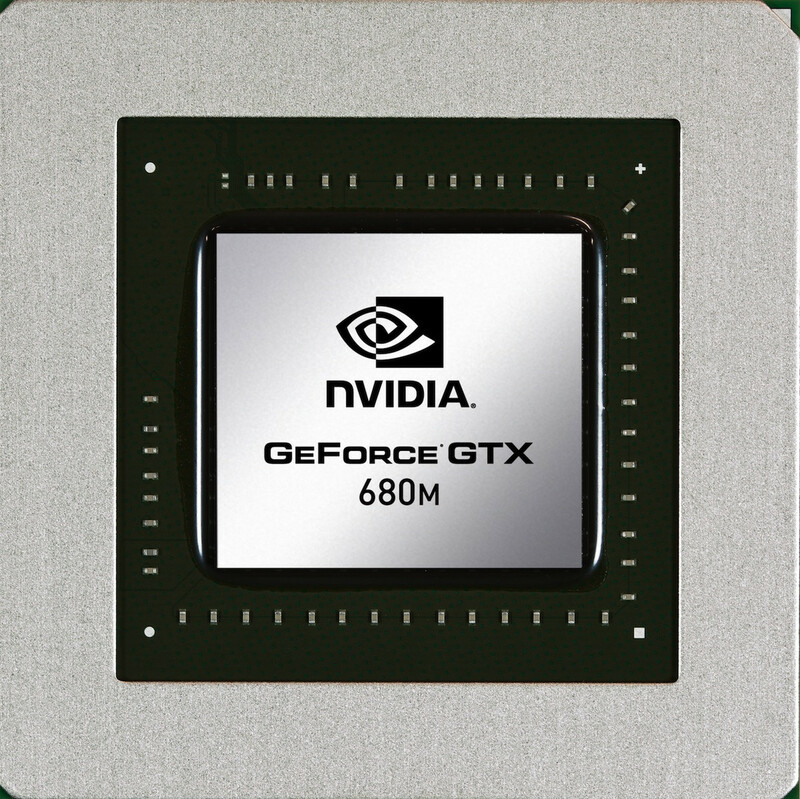 Compared to the desktop GeForce GTX 670, the GTX 680M also features 1344 CUDA cores, but the mobile counterpart operates at reduced core and memory clock speeds (720/1800MHz vs 915-980/3004MHz). The clocks for the SLI-setup are identical. With SLI, each card usually renders a single frame (AFR mode). Therefore, it may suffer from micro stuttering in low fps ranges of 30fps. This happens because of different timespans between two frames (e.g., irregular delays between sequential frames). The Kepler architecture is the successor to the Fermi architecture that first appeared in laptops with the GeForce 400M series. The GK104 Kepler core offers eight shader blocks, called SMX, that are clocked at the same speed as the central core. Although more shader cores are available in the Kepler architecture as compared to the Fermi design, the Kepler shaders are still expected to be up to twice as power efficient. However, due to the missing hot clock of the shader domain, two shaders of a Kepler chip are of similar speed to one shader of a Fermi chip (as the latter is clocked twice as fast). PCIe 3.0 is now supported by the mobile Kepler series and an optional Turbo mode can automatically overclock the Nvidia card by a theoretical 15 percent if the laptop cooling system allows it. The implementation of this boost mode is done in the BIOS, but it is ultimately dependent upon the manufacturer of the laptop. The graphics performance of the GeForce GTX 680M SLI is on the same level as the Radeon HD 7970M Crossfire, thus making both the fastest mobile solution as of summer 2012. In our Benchmarks, the 680M SLI is just marginal in front. The GPUs have enough power to run games of 2012 fluently with Full HD resolution, maxed out graphical settings and antialiasing. Even extremely demanding titles like Metro 2033, Alan Wake or Risen 2 are playable at the highest detail settings. The power consumption of the GeForce GTX 680M SLI should double compared to a single GTX 680M. Therefore, only large desktop replacements can handle the heat.